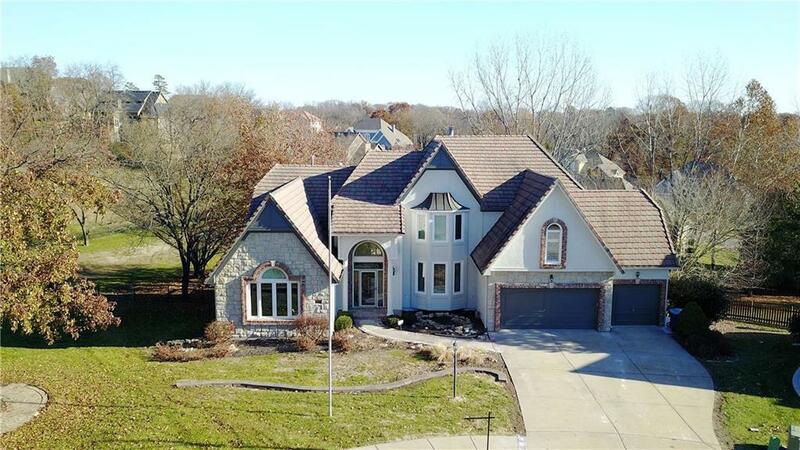 2802 NE 76th Terrace, Gladstone, MO.| MLS# 2140214 | Mary Giangalanti & Associates Kansas City Homes for Sale, Property Search in Kansas City & Surrounding Areas. Gorgeous views of private parklike backyard w/ 2 water features are showcased by floor to ceiling windows thru out the home. Beautiful kitchen w/ granite island, gas cooktop & built in high-end fridge. Spacious Master w/ FP & newly tiled shower. Entertainers dream LL w/ fantastic bar & TV, full kitchen & butler's pantry, & bed w/ full bath. Custom wood shutters & crown molding. Walking trails nearby in Nature Reserve. Soccer, & baseball fields, playground, Tennis courts at Happy Rock Park.